If it seems like HR/benefits departments keep getting busier and busier, it’s because they are. With more regulations and deadlines that come faster than expected, sometimes it helps to have a “safety net”. Form 5558 can be one of those safety nets. 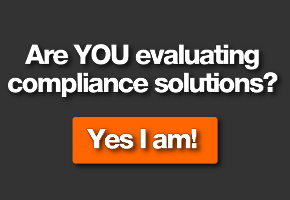 It allows a plan sponsor to receive an extension to their annual Form 5500 filing’s due date. A 2 ½ month extension that can be handy in a pinch. 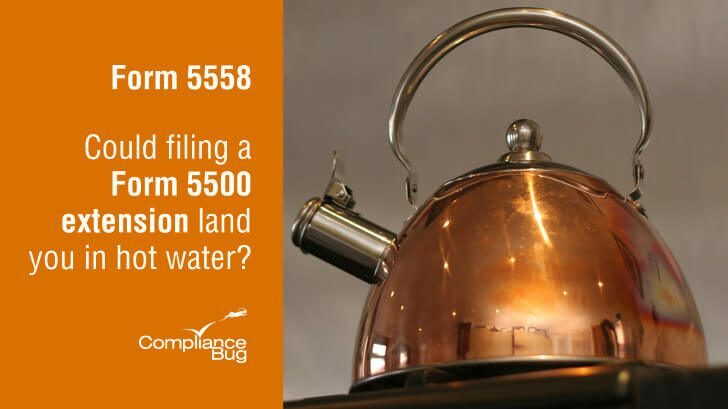 When Would I File a Form 5558? ERISA plans with more than 100 participants at the beginning of the plan year (e.g., medical, dental, life and some disability benefits) require an annual Form 5500 filing. The penalty for not filing a Form 5500 can be up to $1,100 per day per plan. That “per plan” stipulation is important because without the proper ERISA Plan documents (e.g., a wrap plan), each benefit can be interpreted as being its own ERISA Plan. And if that’s the case, fines can increase substantially. Plan sponsors are required to have their Form 5500 submitted to the DOL’s EBSA via the EFAST2 system by the last day of the 7th month following the end of the plan year. Since many plans end December 31st, those filings are typically due the following July 31st. If you don’t think your filings will be submitted by the due date, you can ask for an extension by completing Form 5558 (Application for Extension of Time To File Certain Employee Plan Returns). While we won’t be discussing how to complete Form 5558 in this article, the extension is automatically approved if the form is completed correctly. Form 5558 Risks – What could possibly go wrong? While the reasons for needing to file an extension can vary, often times it’s due to being too busy and not keeping accurate records. Because of that, here are a few things you should keep in mind before filing an extension. Just because you complete the Form 5558 extension, doesn’t mean you’re automatically off the hook. As you cannot use the EFAST2 system to electronically file the extension, you actually need to have the extension postmarked and mailed no later than the original filing due date. That means if you already missed the due date or you can’t get to the post office in time, you aren’t eligible for the automatic extension. Since there is no online tracking, you should ensure you keep copies of the postmarked envelope (or obtain a proof of mailing) along with the completed Form 5558. This is to ensure if you’re ever audited or questioned about the timeliness of your filing, you’ll have the documentation you need. A common issue associated with preparing Form 5558 extensions is to omit or file for the wrong plan(s). A Form 5558 needs to be completed for every Form 5500 filing that will not be submitted by its initial deadline. That is, if you have 5 ERISA plans that all need a filing extension, you must complete 5 extension forms. If you are unsure of how many ERISA Plans you have, review your ERISA Plan Documents to determine how your benefit plans are structured. Failing to file an extension and filing late could late to $1,100 per plan per day penalties. If you don’t have Plan Documents or are unsure if they’re current, contact us for help. While pretty obvious, missing the extended due date is pretty bad. And no, you can’t file another extension. By correctly completing the Form 5558, a filing will be due no later than the 15th day of the third month from when it was originally due (or approximately 2 ½ months). For example, if your Form 5500 was originally due on July 31st, the extension will grant you until October 15th. If any of the due-dates fall on a Saturday or Sunday, the deadline is extended to the following Monday. Failing to file by the extension can result in fines and penalties dating back to the original due date. In the rush to complete a Form 5558, you don’t want to inadvertently provide inconsistent data between the extension and actual filing that could raise a “red flag” at the DOL. 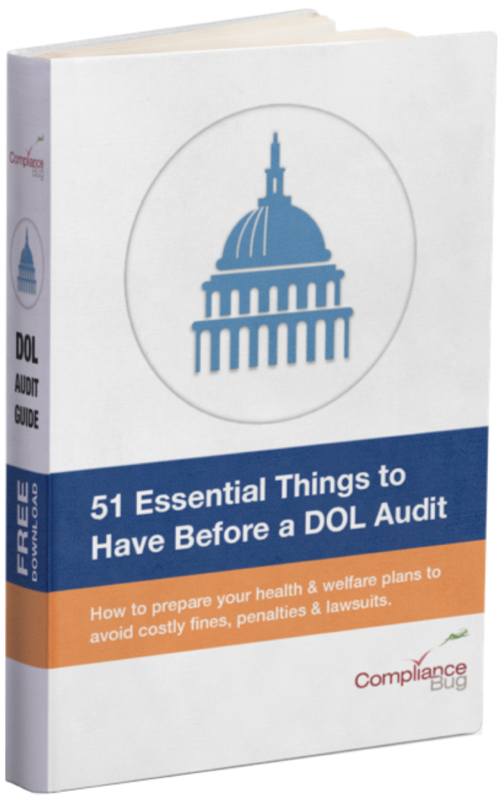 Such mistakes could be viewed by the DOL as the “tip of the iceberg” to more important issues within the plan and could be just enough of a reason to trigger a DOL audit of your plans. So should I or shouldn’t I file an extension? We’ve all been there. Facing a deadline with nowhere to turn. But the annual Form 5500 process doesn’t need to make you feel like you’re backed into a corner. Just take a deep breath and know that the Form 5558 is a tool that can used effectively to give you the breathing room you need. Just make sure you follow it through to the end.